This beautiful holiday house is near the village of San Giuliano, in a wild and quiet area. It is ideal for a relaxing stay in the Costa Verde. Spacious and well equipped, with a large beautiful garden, this house combines aesthetics and comfort. Facilities include, among others, a marble worktop, a cooker with a large oven, a dishwasher and a high standard refrigerator. The terraces overlook the sea and large windows also offer a breathtaking view of the Castagnicia. You will be near large sandy beaches, and you will discover a beautiful region: the hinterland and its beautiful villages in a preserved natural environment. Bastia is 55 km away and the International Airport is 37 km. This solidly constructed modern villa was originally built in 2000 and refurbished in 2006. The agent has rated it as a three star property so it is a well-kept villa, equipped with standard furniture. It is also good value for money. 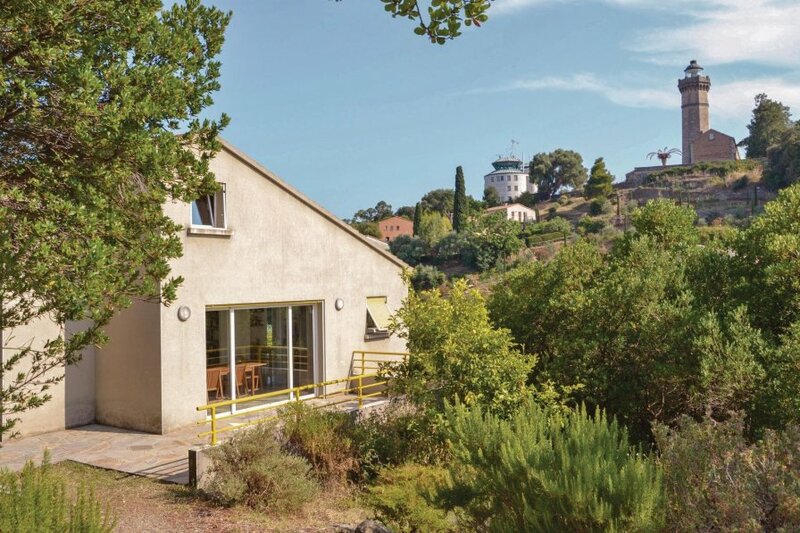 This villa has beautiful panoramic view over water and is located in San-Giuliano, 40km from Bastia. It is set in a convenient location, 1.25km away from a sandy beach. There's also a restaurant only 300 metres away.